Two children were killed and their mothers injured when a 100-foot water storage tank collapsed and fell on their house. The tank, which had a storage capacity of 125,000 gallons, let loose a 100,000 gallon torrent of water and ice. 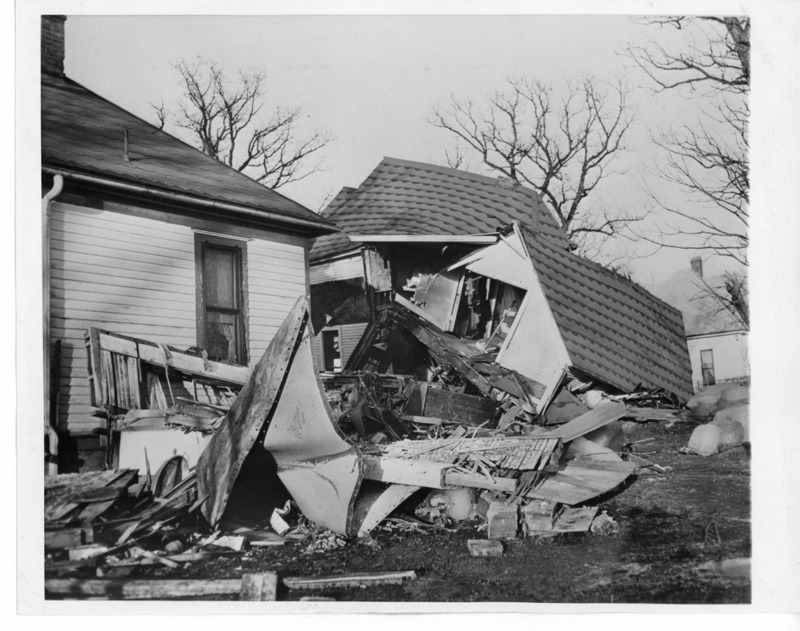 The photo shows the home which was wrecked by the collapse and where the children died. Another nearby house was battered by heavy chunks of ice. Library Special Collections, “Two Children Die as Water Tank Falls,” Council Bluffs Public Library, accessed April 21, 2019, https://www.councilbluffslibrary.org/archive/items/show/4736.